Whether you are considering a new application development, application modernisation, systems integration, or migrating enterprise applications to the cloud, we can help. • Request a no-cost initial, informal review: Discuss your existing enterprise architecture with one of our experts. • Discuss your Microsoft Enterprise Technology: Ask how we can help you with specialist expertise across the Microsoft enterprise stack. • Find out more about our Services: For cloud, on-premises and hybrid systems, our experts can help you take the next steps on your project. Ready to talk? enquiries@ballardchalmers.com or fill out the form on your right to start the conversation. Our headquarters are just 7 miles from the M23 (Jct. 10). Follow the signs to East Grinstead! There are two visitor parking spaces available at the front of our building. If these are already occupied there are two large Pay & Display car parks to the rear of our building, just off De La Warr Road: use this Google Map to find them, or from East Grinstead town centre follow the signs to the Chequer Mead theatre. Parking rates start at 80p for 1 hour and up to £6 for the day – you will need to have coins handy. East Grinstead railway station is a main line route from London Victoria, Clapham and East Croydon. Trains typically run every 30 minutes. For details see the National Rail Enquiries website. 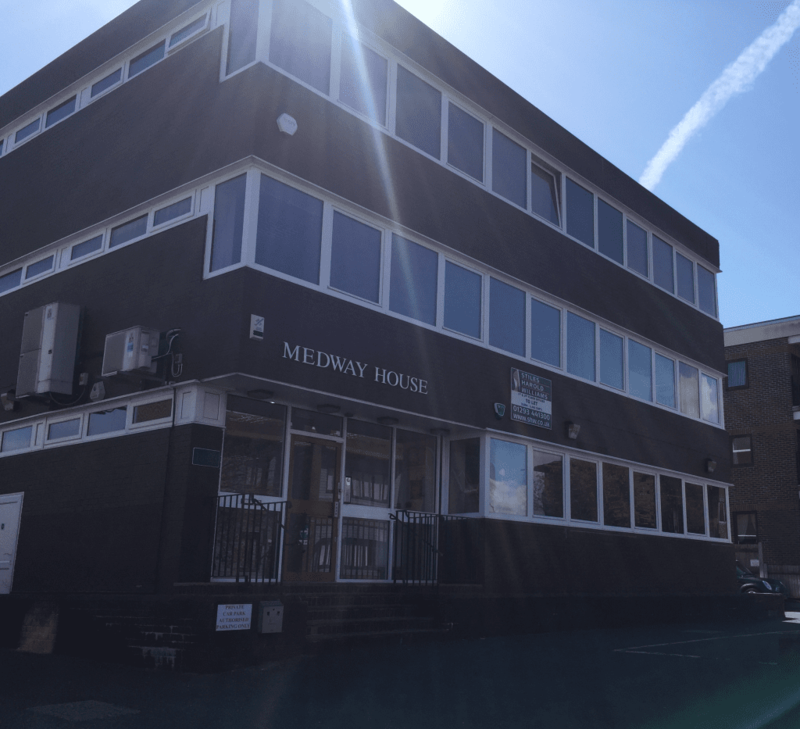 The station is approximately a 10 minute walk (0.5 miles) to our Medway House HQ.